Autumn Miles was aiming her shots right where I sat years ago, but I wasn’t hearing it at first. I had a hard time relating to her story’s emotional level, because while I came through an abusive childhood and other baggage, it’s been behind me for a long time now and even thinking about it seldom brings full-on pain. But that is now. But then I started reading I am Rehab as if I were reading it back THEN, back when there wasn’t any help or support, back before I had any healing, back when I hated the world and suicide was a comforting option. And all I could think was that there are women who seriously need to read this book and truly hear Autumn’s message, and it simply made me cry. Autumn is a passionate advocate for women and the takeaway from her book is far too important to miss. There are those of us who have lived in shame, made bad choices, been hurt by others, been taken advantage of, and who feel that those choices, those circumstances, have defined us. But it isn’t who we are. It’s not who we can be. God knows that we are heroes, capable of anything he needs, and worthy to be respected and placed in the lineage of Christ. I feel so strongly that there are women who really need to read this book and hear Autumn’s message that I am buying a hardcopy of this book. I can’t decide if I should leave it in my church library where multiple ladies will have access to it or leave it at Goodwill or the local library for a random woman to find. All I know is that I feel compelled to leave it for someone who needs it to find. I pray God will tell me where it needs to go when it gets here. There’s a lady waiting to read it. Note: One thing about reading ARCS is that they are UNCORRECTED proofs. This can affect one’s impression of a book and yet one is instructed to ignore them. I am Rahab was in the worst shape of any ARC I’d gotten before this point. I can only trust the publisher did their job before I am Rahab was released. I don’t think it’s fair to the author when an ARC is basically a rough draft; it should have been much more polished. 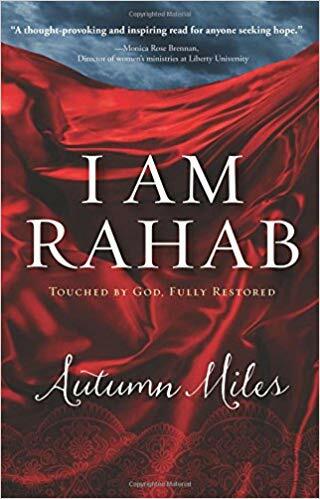 You will find comfort in relating to Rahab and to Autumn’s own raw story of surviving domestic abuse and will be encouraged to know you are not alone in a life disrupted by bad choices, nor are you meant to stay there. You can move forward from your past and have an abundant future.